Antonov An-225 "Mriya" is the largest Russian jetliner in the world. It entered service in 1988. 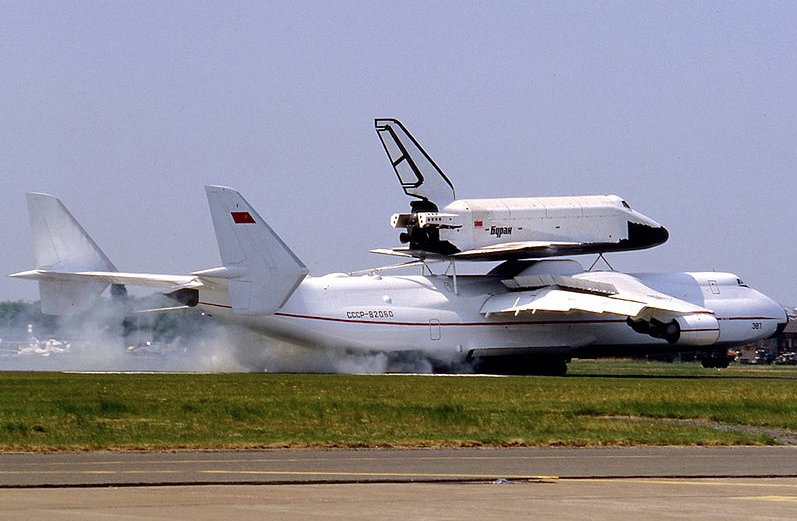 Originally it was built to carry Russian space shuttle “Buran”. The program was droped due to budget constrains. Today it is used for transporting oversize military and civilian cargo. It is the longest (84m) aircraft in the world; a fully assembled 737 fuselage can fit in. The wingspan is 88m and the fuselage diameter is 19m. It has 6 turbofan engines and 32-wheel landing gear system (20 steerable wheels). 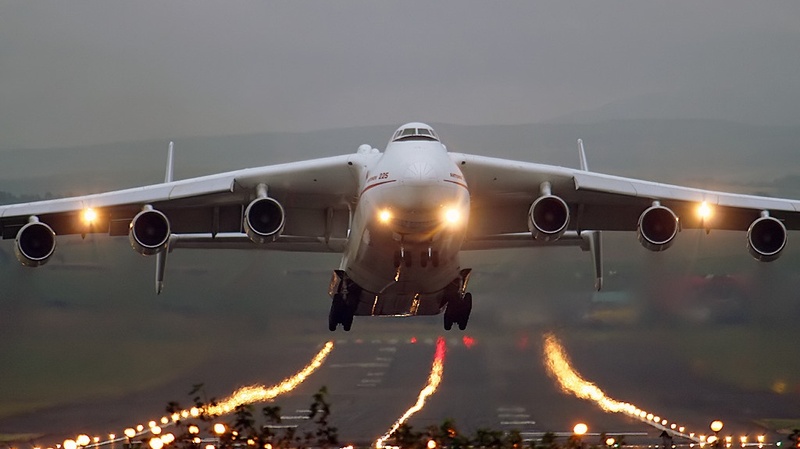 Antonov has a maximum takeoff weight of about 1.32 million pounds and could fly nonstop from New York to Los Angeles. It is unique because there is only one aircraft existing in the world today.